MSC har gjort en genomgripande översyn av sin certifieringsprocess efter en revision som tagit mer än två år att genomföra. Ändringarna inkluderar bl a ett nytt krav där MSC-certifierat fiske måste intyga att de är fria från både tvångs- och barnarbete [...]. 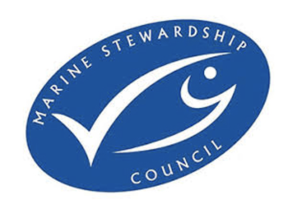 The Marine Stewardship Council has announced an overhaul of its certification process after a review that lasted more than two years. The changes include a new requirement that MSC-certified fisheries declare they are free from forced labor and child labor, and changes to the timeline of both when stakeholder input is accepted and to the dispute resolution process between parties seeking an MSC certification and those who have objections to an individual certification. MSC Fisheries Standard Director Rohan Currey said introduction of updates to MSC’s Fisheries Certification Process and General Certification Requirements came after an organizational review that began in late 2015. Most prominent among the changes is MSC’s new requirement that by 31 August, 2019, all fisheries in the MSC program must complete and submit a Certificate Holder Forced and Child Labour Policies, Practices, and Measures, detailing the measures they have in place to mitigate the presence of forced or child labor. If the deadline is not met, the fishery will no longer be eligible for certification and any existing fishery certificates it has from the MSC will be suspended. Fishing and supply chain companies and their subcontractors that have been successfully prosecuted for forced labor violations will not be eligible to participate in the MSC program for two years after their conviction. In response to complaints about the complexity of the assessment process and the resources required to engage in a fishery assessment process, the MSC has streamlined its assessment and audit process. In its updated assessment process, stakeholders will be allowed to give input earlier. “An Announcement Comment Draft Report will be published at the same time as the fishery announces entry into MSC assessment, which will include draft scoring ranges and reference lists, with information gaps clearly highlighted. Stakeholders will have 60 days to input on this with a view to providing relevant and useful information to the assessment team before the site visit,” the MSC said. The MSC has also added a consultation phase earlier in its objection procedure to attempt to resolve disagreements between parties before convening a formal hearing with an independent adjudicator. “Given that approximately 40 percent of objections are resolved before a formal hearing is initiated, it was concluded that the objection procedure may benefit from an earlier consultation phase between parties,” the MSC said. Also included in the reforms to the certification process is an effort to align differences in scores of overlapping fisheries. After finding that disagreements between assessment teams on scoring and rationales were causing delays to the certification process, the MSC now requires that assessors use the lowest score on any item on which there is disagreement between assessment teams. In addition, several other smaller revisions have been made throughout the new version of Fisheries Certification Process “to improve clarity, consistency and robustness of the assessment process,” the MSC said. The updated process, which will apply to all new assessments, reassessments, surveillance audits, scope extensions, and expedited audits, will go into effect 1 March, 2019, MSC said.